If you work for an organization, Sound American is accessible from your office online learning center. If you don't see the course there, request it from your training and education department. An accent course designed for the way you learn. 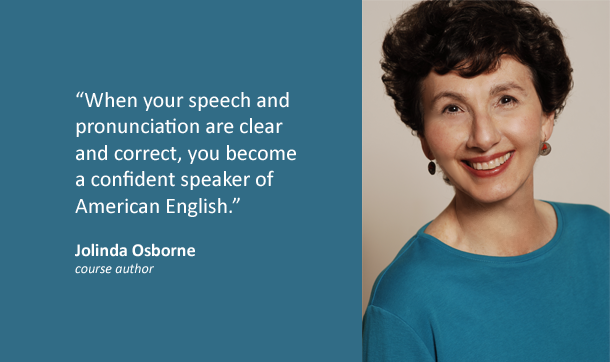 Sound American presents master teacher Jolinda Osborne in six hours of video instruction, conveniently packaged in 25 easy to navigate, phonetically organized lessons. This cutting-edge online American accent training course frees you to study anywhere, at anytime, at your own pace, on any PC or Mac computer, tablet, or other mobile device. 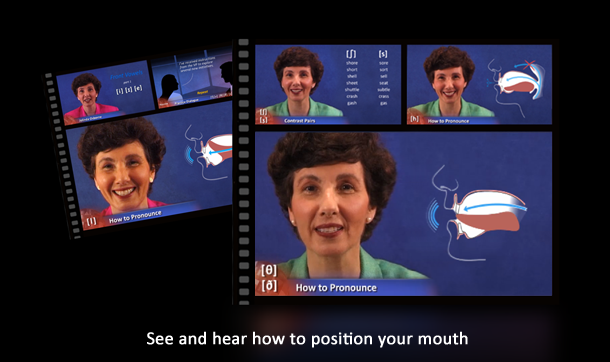 Position your mouth correctly to produce each of the sounds of American English. 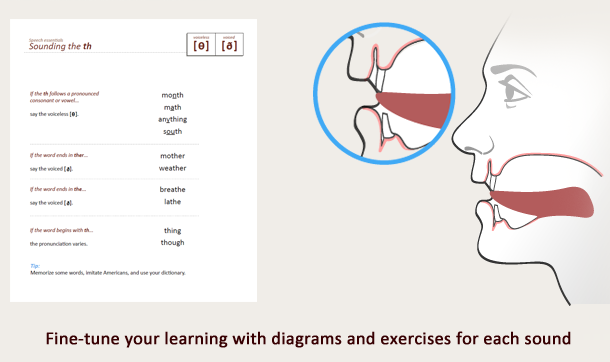 Troubleshoot and solve your particular pronunciation problems with demos, diagrams and illustrations. Distinguish subtle differences in sounds when you practice contrasting word pairs. 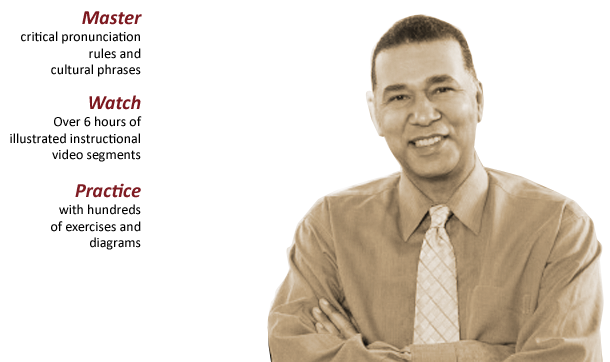 Learn key pronunciation rules and speech tips. Adapt an American intonation pattern in words and sentences. Enlarge your work-related and idiomatic English vocabulary. 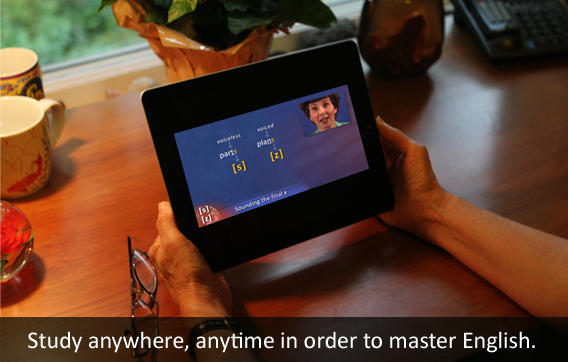 Integrate a phonetics system to master the pronunciation of new or difficult words. Download and print every exercise and illustration you see in the video to create your own speech and pronunciation reference library! An unlimited use agreement of Sound American is the most cost-effective way to deliver American accent training to international employees worldwide. Built to current industry standards (for all versions of SCORM), Sound American integrates into today’s corporate learning management systems. For direct sales information, inquire at info@jolindaosborne.com.